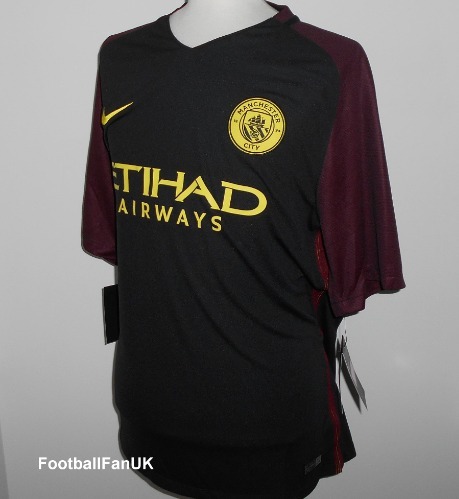 This is the 2016-2017 away shirt used by Manchester City FC. It is an official Nike product, new with tags. - Woven Man City club badge. - Black with claret sleeves and trim. - Adult Size Large. Chest 44", length 29".